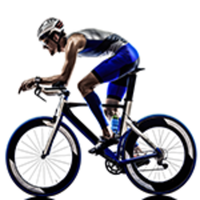 The 2019 spring indoor triathlon at the Chandler/Gilbert YMCA will be held at our great facility on April 14. The triathlon will be a 10 minute run, 30 minute indoor cycle, and 20 minute treadmill run. Registration includes indoor tri t-shirt and YMCA gear as well as an after race brunch. Points will be awarded based on the total distance covered during the swim, bike, and run. Prizes will be awarded to the top 3 finishers!